30.08.2013 (Hvino News) Georgian radio “Commersant'' reported that 18 wine companies want to benefit from "One Billion Agriculture Fund". One Billion Agriculture Fund was launched in March, and by now 81 million GEL were allocated from the fund. Banks are processing applications submitted by 18 wine companies for a loan with a total value of 44 million GEL. 30.08.2013 (Hvino News) A total of 50 million GEL will be offered in the framework of the framework of so-called "Fifth Component". Upon the initiative of Minister of Agriculture, the Fifth Component was added to preferential agricultural credits project. The project allows 15-month loans to be offered to wine companies and the subsidy budget will reach 25 million GEL. Agricultural Projects Management Agency says that the credit portfolio can be increased if necessary. Loans will be issued by Bank of Georgia, TBC Bank, Cartu, VTB Bank, BasisBank and ProCredit Bank. The application was sent to all banks, but only six expressed willingness to participate. These banks have already had the experience of working with wine companies. The wine companies will be able to take an under 100.000 GEL loan at 15%, a 100.000 - 1.000.000 GEL loan at 14% , over one million loan – at 13%. 27.08.2013 (Hvino News). The Coordination Headquarters of "Vintage 2013" [Rtveli 2013] has been opened recently. The state will pay 0.40 GEL per 1 kilogram of Rkatsiteli and Kakhuri Mtsvane grape, and 0.25 GEL for Saperavi. But some wine companies do not see the need for subsidy of the "Vintage 2013". According to George Margvelashvili, head of Tbilvino company, the state will pay a subsidy in the event if the purchasing companies pay 1 GEL for grapes. However, there is no need for the subsidy for the sector and if the companies themselves would be able to fully master the crop and determine the value, it will facilitate the formation of healthy competition in the market. Margvelashvili says that last year Tbilvino' purchased 3 300 tons of grapes and this year will process 5 thousand tons of raw material. In contrast to Tbilvino, Chairman of the Supervisory Board of Telavi Wine Cellar (Marani brand) sees positive results in the vintage subsidizing. Zurab Ramazashvili explains that without subsidization, companies would have to pay 0.75 and 0.60 GEL for grapes, which means low-cost raw materials that will not make products more expensive. Ramazashvili says that “Telavi Wine Cellar'' plans to process 5 500 tons of grapes this year, half of them from the company’s own vineyards. Companies will start collecting grapes in early September. 26.08.2013. Take a tour of most wineries in the United States and you will notice most have stainless steel tanks and oak barrels. Some will ferment in these as well as age wine in these vessels. Plastic bins are also popular for fermenting small batches of grapes. There are also plastic tanks that you may see while visiting wineries. In France, earlier this summer, we saw many cement tanks. They are popular in France because they are made in the winery to a specific capacity, often corresponding to a vineyard plot. In Croatia earlier this year we observed oak barrels as well as barrels made from acacia. What vessel has been used the longest for fermenting and aging wines? For the answer one should visit wineries in the country Georgia. Viticulture and winemaking were firmly established in the region south of the Caucasus Mountains for several millennia prior to the introduction viticulture and winemaking to western Europe. People living in the land now encompassing Georgia have been making wine for 6,000 – 8,000 years. Clay pots have been found dating back to before 4,000 BCA; they were used for fermentation and to age wine. 23.08.2013 (Hvino News). Around 2.5 million liters of wine have been delivered by Georgia's enterprises to the Russian market since Russia lifted its ban on Georgian wine imports, Gennady Onishchenko, head of the consumer rights watchdog Rospotrebnadzor and Russia's chief epidemiologist, told Russian news agency Interfax on Friday. "A total of 690 shipments of alcohol products weighing more than 2.4 million liters have been delivered to Russian territory," he said. 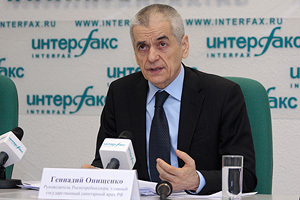 Twelve Georgian companies are handling these shipments, Onishchenko said. A total of 462 brands of wine, 41 brands of cognac and four brands of mineral water were registered by the Russian authorities. "Over this period of time, we have rejected 16 brands of Georgian wine. Twenty samples are currently being examined," he said. "We have started to work, which is good. However, the Georgian side's helpless efforts to justify the functioning of a U.S. Navy biological laboratory on its territory indicate its unwillingness to discuss these issues openly. In the future, this circumstance may create a serious obstacle for further broadening economic ties, acting as a factor of mistrust toward delivered products," Onishchenko said. Rospotrebnadzor specialists conducted the first inspection of Georgian enterprises making wine and mineral water in late February and early March, and the second inspection from April 1 to April 5, 2013. 22.08.2013. President Mikheil Saakashvili plans to open an education center for viticulture, wine-making and vine care in Georgia’s eastern Kakheti region, where he owns a house and vineyards. Speaking in front of journalists at his palace in Tbilisi Wednesday, the president said this is a plan for what to do after he finishes his second presidential term. He said work has already started to first establish the center in Kakheti, and eventually open the same type of center in Ateni Valley in the Kartli region. 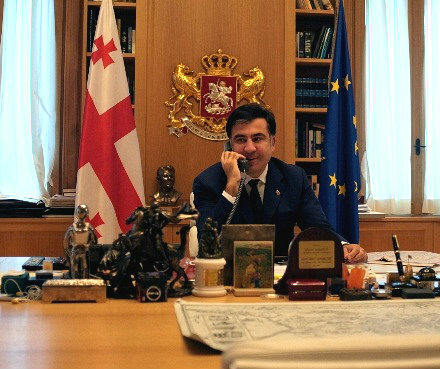 President Saakashvili also plans to set up another education center of political sciences in Tbilisi after he leaves office, because he believes that political education is ‘the weak spot’ of the country. “I will do what I will be able to do in education, and in addition I will continue the popularization of our country,” he said. 21.08.2013. Saperavi Cafe, which advertises a “modern take” on traditional Georgian fare, gained acclaim at its first location near Belorusskaya [in Moscow - HN]. It’s now adding to the Georgian frenzy with a second branch on Kitai-Gorod’s Ulitsa Pokrovka. The building itself is a historic gem: dom 5 was once the site of Dostoevsky’s favorite church in Moscow, the Dormition Cathedral, which was torn down in 1936 to widen the street. It’s undergone a series of conversions since, most recently housing a Starbucks. The cafe has done a good job of erasing the memory of prior tenants, with plenty of rugs, paintings and well-chosen lighting. Dormition Cathedral’s original rusty red brick wall and stone moldings are still part of the architecture, visible on the second floor behind the long couch. The staff, happily and rather surprisingly, are not only aware of the building’s historical value, but are eager to share with the customers. The cheerful host spotted us taking pictures and offered to fill us in on the building’s background, even taking us for a quick jaunt to a staff-only corridor where more of the original brick and stone were visible. 19.08.2013. Today is the Feast of Transfiguration; while it falls during the Dormition fast, dietary restrictions are relaxed today. Prior to the conversion of Georgia to Christianity in the 4th century, various folk religions and Greek-influenced pagan cults were present in the country. As Georgia has the world’s oldest winemaking tradition (over 8000 years), viticulture plays a very large role in the lives of lowland Georgians, and the management practices of the vineyard were often linked with religious festivals. Archaelogical ruins in Georgia indicate that Dionysian/Bacchan cults were widespread before Georgia’s conversion, and that rites to this god involving wine and grapes were common. Orthodox Christian practice, past and present, has been to examine local pagan customs and, provided such customs are not wicked, to adapt and Christianise them. For example, Orthodox priests in China commonly hold a liturgy in memory of the deceased for Chinese converts on the two Grave-Sweeping Festivals, which are ancient ancestor-worship festivals. The Church Fathers in the early days of the Church in the Roman Empire likewise evaluated local folk customs and pre-existing Jewish rites, and conflated them with Church festivals. The presentation of grapes at Transfiguration is one of these customs. Presenting fruit and grapes at the temple is an ancient Jewish custom (Gen 4:2-4; Ex 13:12-13; Num 15:19-21; Deut 8:10-14). It was Christianised by the Apostles (1 Cor 16:1-2). Presentation of grapes at the temple is mentioned in the Third Rule of the Apostolic Canon, which is the earliest collection of written ecclesiastic laws (canons) in our possession, dating to the second century. 16.08.2013 (Hvino News). The Rtveli (vintage) will begin in the villages of Dedoplistskaro region this year. Minister of agriculture Shalva Pipia and chairman of the National Wine Agency Levan Davitashvili familiarized journalists with the preparatory work and the ministerial programs within the framework of "Rtveli 2013". As the Minister said at a press conference at the Ministry of Agriculture, 150 000 tons of grapes would be harvested this year. Shalva Pipia notes that up to 80 companies will take the grape from farmers, most of which are technically equipped. As for the price, the minister explained that the state will not interfere and the market will regulate the price, but if the entrepreneur purchases 1 kilogram of grapes for 1 GEL or more, then the state will provide wine making companies with the appropriate amount through a direct aid. 15.08.2013 (Hvino News) Does the Georgian wine sector require legislative support from the government? The Chief Sanitary Inspector of Russia Gennadiy Onishchenko has stated that Georgian wine exports on the Russian market are undergoing stagnation, and that the products have not had the desired impact on the market as a whole. According to Mr. Onishchenko, government support and legislative changes that would simplify the process for Georgian companies to export alcoholic drinks to Russia are necessary. See more detail here. In response, the director of Tbilvino Giorgi Margvelashvili has stated that at this stage, the Georgian wine industry does not require additional legislative support. According to him, the current legislation is working fine, and on top of that, the small and medium scale enterprises within the sector get support from the government. Mr. Margvelashvili states that it is far too early to talk about stagnation for Georgian products on the Russian market, and a thorough data analysis should be made once a year has passed following the lifting of the embargo. 15.08.2013. After years of welcoming outside investment, the small state now worries too much land is being sold to non-citizens. 14.08.2013. Russia's decision to lift its trade embargo on Georgian wine, mineral water, and other agricultural products will have a limited effect on the latter's creditworthiness, recent report by Standard & Poor's Ratings Services said. Although the lifting of the embargo should be a net positive for Georgia's external accounts, as it will be insufficient to significantly improve the country's high external vulnerabilities. Report author said eventually, accelerated investment inflows could arise through the strengthening of relations between Georgia and Russia. Besides benefitting the external accounts, the lifting of the embargo, announced in March of this year, should moderately improve Georgia's economic and political risks. Prior to the embargo--imposed in 2006 by Russia's consumer watchdog, ostensibly on health grounds, amid heightening tensions between the two countries--Russia accounted for more than 80% of Georgian wine exports and 70% of Georgian mineral water exports. It remains to be seen how great a share of the Russian market can be recovered, and at what price. "Agriculture accounts for only about 10% of Georgia's GDP and we do not expect any significant improvement in productivity in the agricultural sector in the near term", says report. "We do not expect these developments to have a tangible bearing on Georgia's creditworthiness in the near term," said Standard & Poor's credit analyst Ana Jelenkovic. "But they could lead to improvements in key economic and external indicators over the medium to longer term." 14.08.2013 (Hvino News). Georgian mineral water brand Nabeghlavi has settled the issue of visas required for the export of their products. At the beginning of last month when Borjomi and Sairme had already started sales on the Russian market, Nabeglavi failed to obtain Russian visas. The company's management says that at the moment Nabeghlavi already has the necessary permissions to export its products to the Russian market and registration process should be completed in the coming weeks. According to management, the active bilateral negotiations are being held, samples have been approved, although the company finds it difficult to name a specific date at this stage. The company also does not specify how many bottles will be sent to the Russian market. Bottling of Nabeghlavi mineral water was initiated in 1958, following the establishment of a health resort in ecologically pure environment of village Nabeghlavi, which in turn was determined by revealing the water’s unique curative properties. By that time water production output was small and the distribution area was rather limited. Georgian-Swiss joint stock company Healthy Water produces mineral water Nabeghlavi and spring water Bakhmaro. The company was founded in 1997 and by now is a leader of the local mineral water market. 13.08.2013. (Hvino News) Deliveries of Georgian wine to the Russian market are already taking place on a commercial scale, and steps to maintain the current pace of exports require decisions to be adopted by government agencies, Gennady Onishchenko, head of the Russian consumer rights watchdog Rospotrebnadzor and Russia's chief epidemiologist, told Interfax on Tuesday. "We are already facing commercial-scale deliveries. The figure of 1,999 million tons is quite a lot," he said. A total of 591 shipments of alcohol products have already arrived to Russia from Georgia, including 585 shipments of wine and six shipments of brandy, Onishchenko said. The resumption of Georgian wine exports has changed nothing on the Russian market for alcoholic beverages, he said. "Sixth-five Georgian wine producers and four producers of mineral water were allowed [to export their products to the Russian market]," he said. 12.08.2013. After a politicized seven-year embargo, Georgian wine is finally trickling back into Russia. Since the first shipment of 30,000 bottles crossed the border in late June, names such as Khvanchkara and Alazani have been gradually appearing on Moscow wine lists. Experts have estimated that anywhere between five and 10 million bottles will be imported by the end of the year. 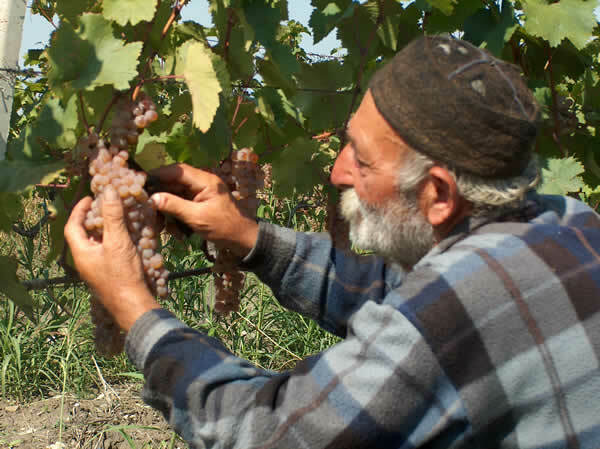 However, a slew of obstacles face Georgian wine's prospects for success, including higher prices, a new inspection process and the growing popularity of wines from other countries. Here's the lowdown. Georgia is the birthplace of one of the world's oldest wine-making traditions, which dates back 8,000 years. In the ancient technique, wine is fermented in wax-lined clay pots called qvevri and buried underground. In the Soviet era, the process became more industrialized, but the past several years have witnessed a rebirth of interest in traditional methods. 12.08.2013 (Hvino News). Georgian President Mikheil Saakashvili said he will create a training center for winemakers at his own vineyard in Kvareli district (Kakheti, Eastern Georgia). Mr. Saakashvili announced this in Kutaisi, Imereti, while attending the wine festival organized by Presidential Administration. "Georgia is a land-starved country. If not to invest lots of money, one cannot get a large harvest. Wine can bring a very large income to families. It is the salvation for our families, our culture, our pride. So, for example, in my vineyard in Kakheti, I am creating a training center for winemakers. We will bring foreign winemakers to teach technology and how to market wine..."- stated Mikheil Saakashvili. President of Georgia is known for his interest in wine-making. In 2011 president Mikheil Saakashvili bought a vineyard in Kakheti region, Eastern Georgia. The vineyard ​(half hectare area) costed about 20,000 USD. The vineyard has two varieties - Saperavi and Rkatsiteli. The president often uses his vineyard house to host foreign visitors (see, for instance: Foreign ministers of Sweden, Poland, Fiji took part in vintage at Mikheil Saakashvili's vineyard). 11.08.2013 (Hvino News). Preparations for Imereti Wine Festival are ongoing in the city of Kutaisi. The city will host guests of the festival in the vicinity of Okros Chardakhi. Okros Chardakhi (Golden Marquee) is the only surviving structure of the 17th century palace of the kings of Imereti in Kutaisi. Imereti Wine Festival -2013 is organized by Georgian Presidential Administration. Similar event was held in Shida Kartli, and will take place in other regions of Georgia as well. Wine Festival aims at popularization of Georgian wines and preservation of unique vine species. It will contribute to attraction of entrepreneurs and selling of Georgian wines both on domestic and international markets. 09.08.2013. The floor is tile, the tables scratched, the light fixtures ruffled and crimped. On a speaker rests an overgrown sheepskin papakhi, cousin to the astrakhan hat, with wild woolly dreadlocks. Later there will be folk songs on hand drum and phanduri, a long-necked lute. 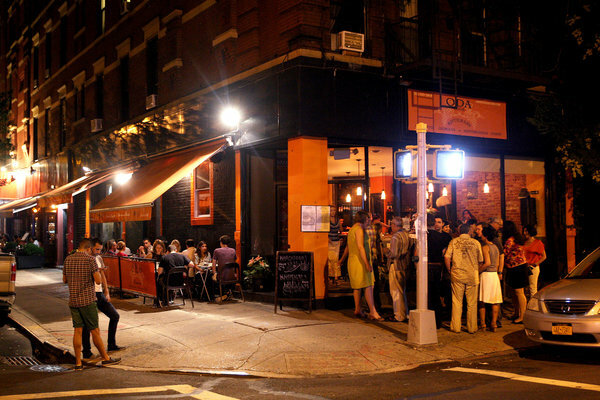 It is a scene you might expect to find on Avenue U, not Avenue B.
Oda House, which opened in May, specializes in Georgian cuisine, a rarity this side of the Brooklyn Bridge. It is not the first restaurant in Manhattan to do so (Pepela, which occupies a more opulent space in lower Midtown, predates it by a few months), but it may be the first to capture the inclusive and at times shambolic spirit of Georgian restaurants in southern Brooklyn. The chef, Maia Acquaviva, was a plastic surgeon in Georgia before coming to New York and redirecting her knife skills. For a while she cooked Russian food at Mari Vanna, but aside from a few mayonnaise-heavy salads, Georgia shares few culinary traditions with its northern neighbor, leaning instead toward Armenia and the Caspian states. At Oda House, which Ms. Acquaviva owns with her stepson, Beka Peradze, she has returned to the vivid herbs and spices that characterize cooking along the former Silk Road. 09.08.2013. Russia has lifted its ban on Georgian wine after it declared it "impure" in the midst of a bitter conflict between the two countries seven years ago. The move's been welcomed by wine-lovers and Georgian restaurants in Russia. But Georgian vintners are struggling to re-capture old ground as the wine market has expanded greatly since the ban was imposed. 07.08.2013 (Hvino News) Levan Davitashvili, head of the Georgia's National Wine Agency, said that fears of the Russian sanitary authority Rosportebnadzor about counterfeit Georgian products were unjustified. Rosportebnadzor recently stated that Georgia does not have enough wine materials and ready alcohol products. Davitashvili denied the information and said that Georgia'a control over alcohol industry was as strict as in Russia. The official noted that Georgian brandy will be available at the Russian market in late autumn or early winter. Georgia may export 5 million bottles of whine in 2013, mostly for the New Year celebrations. 05.08.2013 (Hvino News) In the city of Zestaponi today the members Georgian NGO “Zestaponi Civil Hall” organized a public protest action against the former mister of economy Kakha Bendukidze. They citizens are against the destruction of ancient wine cellar in the village of Sakari and sellout of wine dating back to 1905. As NGO's representative Nazi Tsikitshvili explained, that the 130 years old wine was transferred under the authority of the Agrarian university by the previous government. She said that the university's owner Kakha Bendkukidze did away with the cellar and purchased each bottle of wine for 19 tetri (about 11 US cents), while the market price is between 1000 to 3000 GEL per bottle. The protesters said that 17,000 bottles are ready for transportation, and the locals are protesting against this decision. 05.08.2013. As I mentioned in my previous post, Georgia is the cradle of winemaking, so I shan’t recapitulate that whole story in this space. But, like the previous post (which was about an ultra-traditional, clay vessel-fermented white made from a native grape called Rkatsiteli) this red wine emanates from the same region of Kakheti in the dry and sunny east of the country, but with a few very important differences. Obviously, as just stated, this a red and not a white wine, but just like Rkatsiteli is one of the Kakheti region’s signature white grape varieties, this wine is made from one of its signature red cultivars, Saperavi, but this wine carries the name Mukuzani which can only denote Saperavi produced in the Mukuzani zone. Saperavi wines made outside of this zone is labeled as Kakheti Saperavi. Mukuzani, like any denominated cru from anywhere in the world, is so distinguished because the specific terroir lends special characteristics to a wine (in this case an added minerally complexity and powerful depth of fruit), but Saperavi has a peculiar characteristic even without the Mukuzani designation. Along with grapes like Beaujolais’ Gamay, and the crossed variety Alicante Bouschet, Saperavi is one of a handful of what are known as tinturier grapes. Though it’s decidedly counterintuitive, most red-skinned grapes have perfectly white flesh and consequently, white juice. The color in red wines made from these grapes comes from macerating the juice with the skins whose pigmentation slowly leaches into the juice to produce red wine. With tinturiers, both the skin and the flesh/juice are deeply colored, so when maceration is carried out (which is typically the case) the product is especially deeply colored. 03.08.2013 (Hvino News). CNN's Ivan Watson meets an American winemaker John Wurdeman trying to market Georgian wine to the world. 03.08.2013. In Georgia, winemaking methods that were developed 8,000 years ago have not been abandoned but remain best practice. You could call it a great unlearning. Sixty years of technical mastery over raw materials have led, in the view of some wine producers, to a loss of the innate differences with which wine was once synonymous. How, though, to beat a retreat? “Natural” wine (made without additives) and “orange” wine (white wine made like red, by lengthy soaking of skins with juice) have been two of the most radical solutions. Classically trained palates often consider the results grotesque; younger drinkers find them fun. They’re now a kind of punk wine – a disconcerting alternative to the mainstream, inspiring two separate London wine shows each spring and even threading their impolite way through the Michelin stars. Much of the running for this movement has been made in Italy, inspired by the contadini (peasant farmers) who never bothered much with additives anyway, nor saw the point of treating white grapes differently from red. The movement’s leaders, though, look further east, to Georgia, which is wine’s Jerusalem; tributes and pilgrimages abound. Georgia’s winemakers regard this as both gratifying and discomfiting. 02.08.2013 (Hvino News). According to the Georgian Wine Agency total of 3,554,174 liters of wine (0.75-liter bottled) was exported to 23 countries in July, 2013. The overall export as of July amounts to 12,094,075 liters, being 43% higher compared to the same period of last year. Five leading export destinations of Georgian wine are as follows: Ukraine, Russia, Kazakhstan, Belarus and Poland, where Ukraine holds 38% of total volume of exports, China and Latvia being on 6th and 7th places in volumes respectively. It is significant that exports to Russia as of July 2013 was 1,969,125 litres with contribution from 13 companies. The growth of exports to Russia did not cause the decline of shipments to other export destinations. 01.08.2013 (Hvino News) Hail has inflicted damage onto three villages of the Kakheti Region - Arashenda, Melaani and Naniani. Maize fields, water melon gardens, orchards and fruit gardens were also destroyed. The farmers apply to the government to assist them with agricultural chemicals otherwise, they say the will have no vintage this year. Local governor has already viewed the disaster affected villages. Losses caused by natural disasters are being counted in Senaki district in western Georgia. Part of Senakihas been evacuated because of flooding. By now water has been already pumped out of the flooded houses. Residents who were evacuated yesterday are being returned to their houses. The rising levels came after two days of rain in the Samegrelo region. In some places, the water level is higher than 50-60 centimeters. The flood has also killed livestock. No casualties have been reported. Davit Narmania, Minister of Regional Development and Infrastructure and Kakha Kladze, Minister of Energy arrived in Samegrelo earlier this afternoon.